Just downloaded the latest backup of this site and when I tried to create the SQL database in phpMyAdmin, by importing the database, I got an error message, file too large, limit 2048 kb. This got me worried as my site expands the database size will increase and thus I cannot create a backup on my localhost. Make sure you have the latest version of phpMyAdmin. 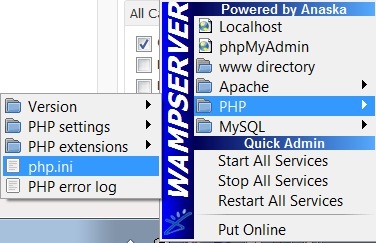 Save file and proceed to phpMyAdmin and import your SQL file and this should work. This entry was posted in Computer Stuff and tagged 2048kb, phpMyAdmin, SQL. Bookmark the permalink. Thanks for this info, I also did not know what to do when I tried to import my SQL database and got this 2048kb max file size. There seems to be a lot of simple fixes once you know what to do. Keep in mind, to keep from having process exceptions make these two fields the same size. Of course you can have a different value in the field than what i have for my private server, just keep in mind those two values should be the same. If not it can cause excessive processing time and even processing errors. Esp on sites with high activity! James I am presently out of the country and I has been a while since I worked with phpmyadmin, but I vaguely remember there may be a size limit, Try increasing it 1m at a time and see how high it will go. Thanks Bob. i already figured it out. I just needed to restart the server to apply the changes, Thanks for the help.